A young student from Bury has been awarded for her outstanding dedication to volunteering and helping others. Danielle Conn, 18, has received a nationally recognised ‘Vinspired’ award for completing over 100 hours of volunteering. 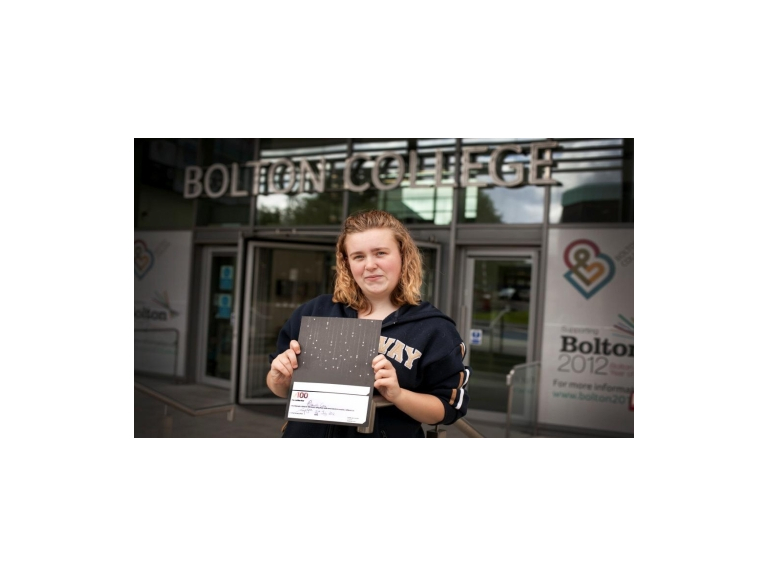 The student is currently studying performing arts at Bolton College and fits her many volunteering activities around her studies. She is a familiar face on campus, regularly helping with enrolments and giving tours to new students. Danielle also provides support at college events throughout the year, as well as helping out at a summer school and a charity shop. The award was given to Danielle – not only for the number of hours she has committed – but also for the difference she has made to others’ lives and how much she has personally learnt from the experience. Vinspired is an independent charity dedicated to helping young people volunteer in ways that matter to them.